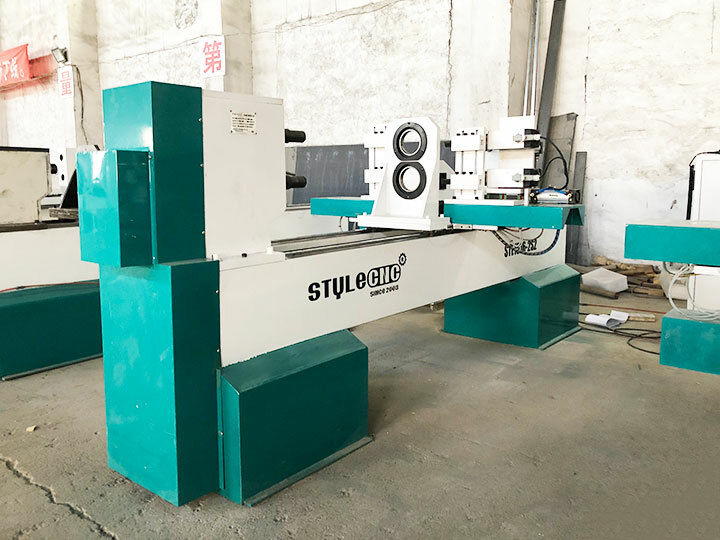 The full automatic double axis CNC wood lathe is used for turning cylindrical workpieces, tubular shape, bowl shape, vehicle woodcrafts, stairway balusters, stairway newel posts, sofa table legs, end table legs, bar stool legs, dining table legs, various staircase columns, general columns, roman columns, washstand, wooden vases, baseball bats, children' s bed columns, chair stretchers, chair arm posts, bed rails, sofa and bun feet, lamp posts and so on. 1. DSP controller with USB interface, which is easy to use. 2. 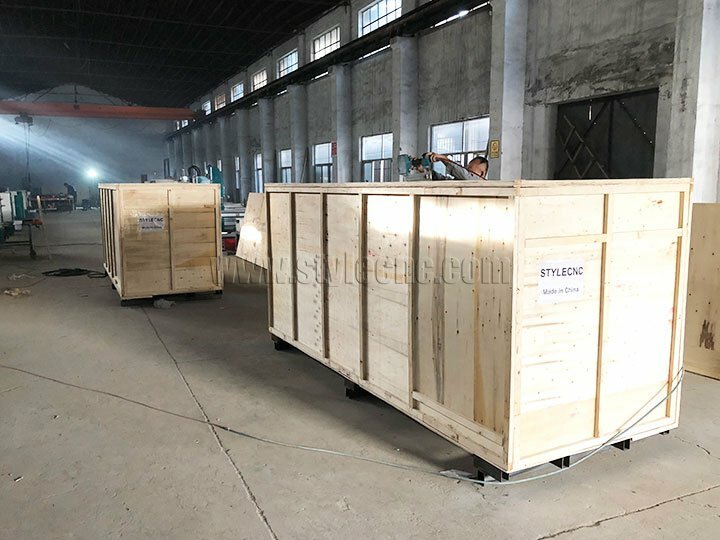 Heavy cast iron lathe bed to avoid shaking when the spindle rotating with high speed or the big size workpiece turning. 3. The main spindle speed can be adjusted through the frequency converter. 4. Taiwan Hiwin square guide, Germany ball screw with high precision. 5. 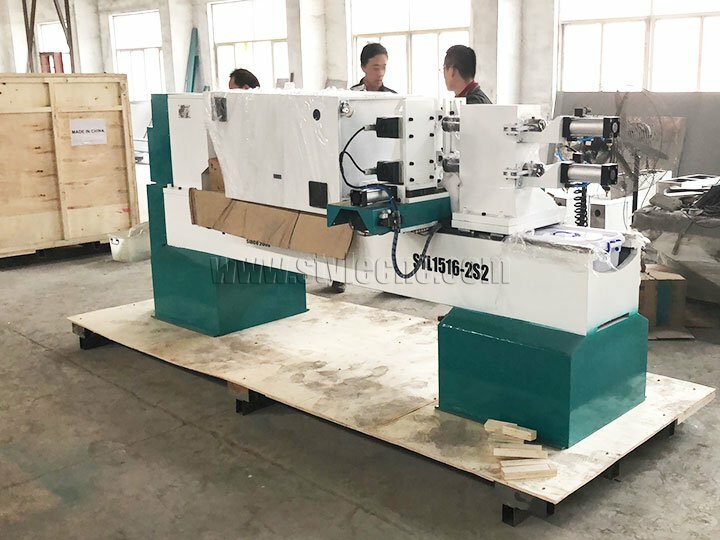 The CNC wood lathe machine adopts double chuck and double backlash to fix materials. 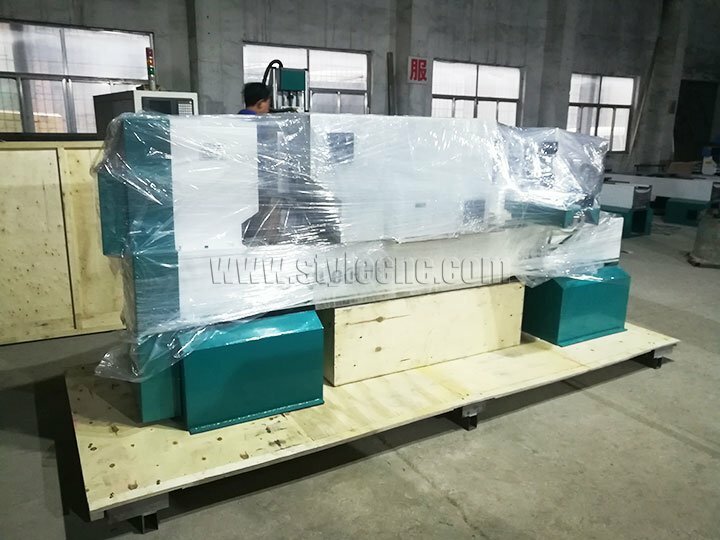 We also have single axis CNC wood lathe machine, three axis CNC wood lathe machine and full automatic feeding CNC wood lathe machine for your choosing. 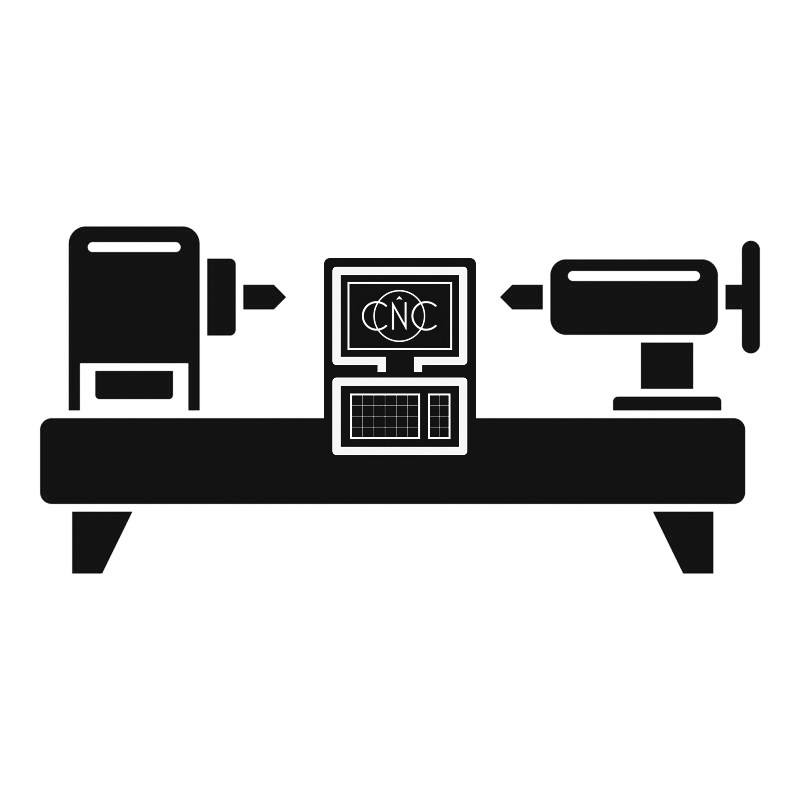 License: The text of "The Best CNC Wood Lathe Machine for USA in 2019" by STYLECNC is licensed under a Creative Commons Attribution 4.0 International License.